Do you have a User Guide? Do you have a browser extension for Firefox/Chrome/Safari/etc? 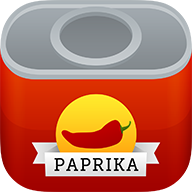 Can I download an older version of Paprika? What sites does Paprika support downloading from? Can I enter my own recipes into Paprika? Why is Paprika 3 a paid upgrade?